In the world of electric and hybrid vehicles, the 2017 Chevy Volt in Albany, NY is quickly becoming the favorite model on today’s market. While the Bolt EV is starting to grab all the attention, it isn’t actually available to most consumers quite yet. In terms of overall performance, technology, and safety, the Volt is the next in line. Even if it is a plug-in hybrid model (which means it’s not a pure electric vehicle) it’s still a great vehicle overall. The performance is particularly impressive, with a 1.5-liter engine/generator combination that no longer requires premium fuel, backed by two electric motors for the electric end of the performance. Collectively, the gas-powered/electric-powered parts of the Volt work together to create an unbelievable driving range. Furthermore, technology and safety aren’t sacrificed to help better the performance. All told, the 2017 Volt is a plug-in hybrid that will offer everything you want and more – and all for a fair price. The Volt’s biggest appeal has always been its ability to drive farther than the other plug-in hybrids in the competition. But for 2017, the Volt’s driving range is even better than before, offering an electric driving range of up to 53 miles, and a combined (gas/electric) driving range of 420 miles. These figures are considerable for combined driving range, but even more so when it comes to the electric driving range. Given that a lot of plug-in models only experience a driving range of 10-20 miles, the Volt is most certainly one of the ones spearheading the plug-in hybrid market. With plug-in vehicles, there are three different types of driving ranges to be aware of before you start planning your next road trip. The first is the all-electric range, which allows the vehicle to drive a certain amount of mileage based on the electric motor(s) in the vehicle. Second is the gas-powered portion. In the case of the Volt, the gas-powered generator/engine will kick in when the electric engines run low on juice and give you a typical EPA fuel economy rating. Finally, the combined driving range is what the vehicle will get when it has both a full charge and a full tank of gas. 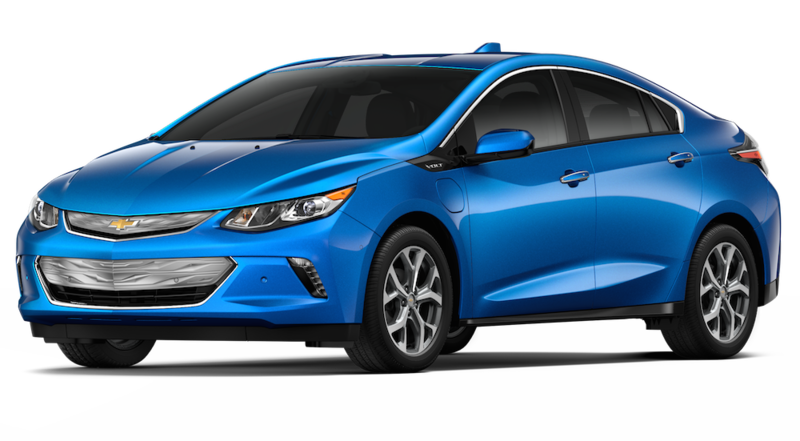 For the all-electric driving range, the 2017 Volt is able to go up to 53 miles on a fully charged battery. Expect 42 mpg combined when operating in conventional hybrid mode after the battery pack has been depleted. Total, the Chevrolet Volt experiences 420 miles of combined driving range. Dual-electric motors work in unison to provide the Volt with its electric driving range and efficiency. They both work towards the same goal: conserving electric charge while still providing responsive power and torque. The juice that powers these two motors comes from a lithium-ion battery, which is both lighter and able to hold more energy than the one offered in the first generation. The 1.5-liter gas-powered generator/engine kicks in when the battery’s power levels get low, and let’s you make the final push to get you where you need to go. This is what gives you a total driving range of 420 miles on a full charge and full tank of gas. Since the Volt is a Chevy, it’s going to be loaded with advanced safety features, regardless of if its plug-in hybrid designation. Perhaps the most prominent safety feature in 2017 is Teen Driver Technology. All it takes for you to access the plethora of information Teen Driver Technology has about your son or daughter’s driving habits is a PIN code. Teen Driver Technology is a built-in system, and comes with a report card that will pop-up on the MyLink display. This allows you to look at information like if any safety features were activated (such as Forward Collision Alert), your teen’s top speed, overspeed warnings, and distance driven. Also, you can set the system to promote safe driving habits by muting audio when the front seat occupants aren’t wearing seat belts, provide audible and visual warnings when the vehicle is going over a pre-determined speed, and set a limit on the music volume. In a nut shell, it’s a way for you to be there, even when you can’t be. There are plenty of other advanced safety features available for you to equip onto your 2017 Chevy Volt. Lane keep assist, rear cross traffic alert, and forward safety awareness ensure that you’ll have help in the front, back, and sides when it comes to navigating through heavy traffic. All the systems are able to provide you with warnings, thanks to radar or cameras that detect potential hazards. In the case of the forward safety awareness suite, the low-speed front automatic braking uses cameras to help you entirely avoid a collision. How? Simply by stopping the vehicle for you if you aren’t paying attention and another car is in front. Automatic crash response is also on board, courtesy of OnStar. This system allows an advisor to automatically get in touch with you in the event of a collision. If you need help, the advisor will relay your position to emergency services and get them to your location quickly and efficiently. With EVs and plug-in hybrids, typically automakers need to cut corners in the entertainment and convenient technology areas in order to focus more on ensuring reliable and efficient performance. However, that’s not the case with the 2017 Chevy Volt. You’ll be surprised to see that it gets many of the same features the gas-powered Chevrolet models do. Both Apple CarPlay and Android Auto are available on the Volt. These two features are integration systems for your preferred cell phone of choice, which will hook up to the MyLink touchscreen interface. 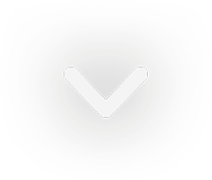 Making calls, listening to music from playlists (or your favorite app) on your phone, and getting directions are now done with the tap of your finger on the display that’s located in the center of the dashboard. It’s a much safer and easier way to operate your phone, while on the go. If you do decide to hook up your cell phone to the MyLink display, then chances are you’re thinking about upgrading your data so you can stream Spotify or Pandora. However, you don’t have to with the Volt. Courtesy of an available 4G LTE Wi-Fi hotspot provided by the OnStar service, you can connect up to seven devices for wi-fi speeds that far exceed what you’d experience using data. Even more importantly, it means you can use your favorite phone apps without racking up the data charges at the end of the month. All this and more is being offered on the Volt.